Gum disease is one of the most serious problems in dentistry. It threatens your teeth–it’s the leading cause of tooth loss in adults. But it also has dangerous impacts beyond your mouth, especially for your cardiovascular system: it’s been linked to heart disease and stroke. It can make your diabetes harder to treat, and can cause pregnancy complications. It’s also extremely common, with nearly 90% of Americans having some degree of gum disease. But now we have a new tool for fighting gum disease. Perio Protect gives us another approach to combat this serious disease. If your normal oral hygiene routine is just not enough to control your gum disease, please call (614) 848-5001 or email us for an appointment with Columbus, OH cosmetic dentist Dr. Michael Firouzian at Firouzian Dentistry. Periodontal pockets form when gum disease bacteria damage the gums around your teeth, creating a space between the gum tissue and the teeth. Bacteria colonize these pockets, which can cause gum disease to get even more serious. The pockets allow for the growth of anaerobic bacteria–bacteria that don’t breathe oxygen. Instead, they usually breathe sulfur, which is why they can cause very bad breath. These anaerobic bacteria are also dangerous and aggressive. And when your body detects the presence of these bacteria, it steps up its own antibacterial activities, which can also damage your gum tissue. Brushing, flossing, mouthwashes, and regular professional cleanings are normally enough to control gum disease. But they do have limitations. Brushing only cleans some of the teeth, with the areas between teeth and at the gum line left uncleaned. Bacteria in these areas can contribute to tooth decay and the creation of periodontal pockets. Flossing helps to clean between teeth and at the gum line, but it may not be enough to remove biofilms–bacterial colonies–from your teeth, and it can actually force bacteria down between your teeth and gums. Mouthwashes can kill bacteria, even in the periodontal pocket, but as the pockets get deeper, it may not be able to penetrate deep enough to get all the bacteria. And mouthwashes that contain alcohol dry the mouth and can further irritate inflamed gum tissue, making struggling gums even more vulnerable when bacteria populations regrow. And none of the above methods remove tartar, hardened plaque that protects bacteria. Professional cleanings can remove the tartar and provide the most complete removal of bacteria, but they’re infrequent and can’t help if you need daily assistance with gum disease. Perio Protect is a new approach to delivering medication to kill oral bacteria and promote gum healing. Perio Protect uses trays similar to those used in at-home teeth whitening to deliver medication to your periodontal pockets to eliminate gum disease. These trays fit snugly over your teeth like the KöR whitening trays, creating a tight seal that ensures the medication is delivered to the periodontal pockets. The seal also keeps saliva from washing away the medication before it’s been fully effective. With Perio Protect, many people with gum disease can avoid surgical treatments and still maintain their teeth. 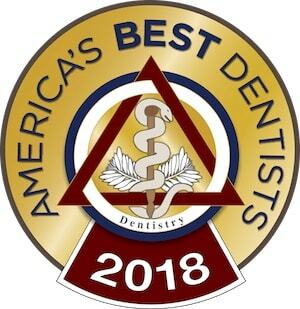 To learn whether Perio Protect is right for you, please call (614) 848-5001 or email us for an appointment with a Columbus, OH dentist at Firouzian Dentistry.